Michael Ausiello and TVLine.com have another major Gilmore update for fans of the beloved series. The Netflix revival will be presented in four 90-minute parts, and according to their insiders, each episode will represent fall, winter, spring, and summer of a single calendar year. Team Palladino, Amy and Daniel, will write and direct the new episodes, which will take place in the modern day. Whether in the lazy, hazy, crazy days of summer, or standing in the magical, good-luck snow, we’re so excited to see what these folks are up to after years apart. Time to start planning your ultimate sick day. Netflix wants to reboot Gilmore Girls. According to several online sources, Netflix is currently in talks with series creator Amy Sherman-Palladino, alongside our story’s protagonists, Lauren Graham and Alexis Bledel, to return to Stars Hollow in what could be four 90-minute miniseries installments. Fans of the show are thrilled at the possibility of a reboot, of course, but the icing on the cake will be Sherman-Palladino returning to her rightful role as showrunner, following her quick exit from the series after six seasons due to a contract dispute with the studio. She’ll get the final word, and I’m sure it’ll be one-of-a-kind. Many of the original actors are rumoured to be returning (sans Melissa McCarthy, sadly), and few have had anything to say about the matter as of now. 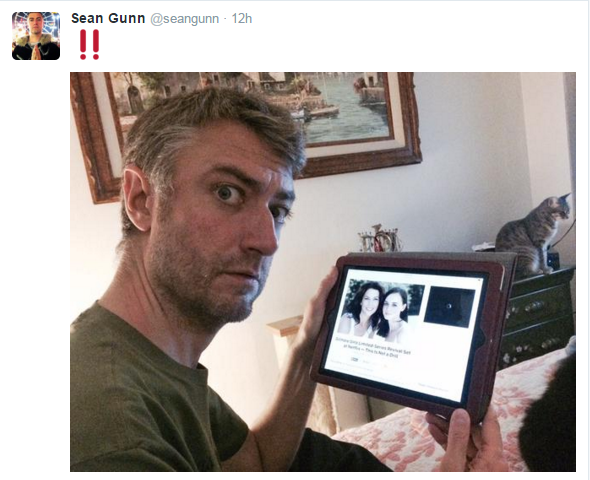 But, Lauren Graham did release a tweet yesterday that seems to lean more towards the “OMG YES!” side of of the story. This would be a fantastic move on Netflix’s part, as the show has already brought in thousands of views on their popular streaming service, and there is obviously a very strong desire for a reboot as it is. Add on the recent Gilmore reunion, and the fanbase is more ready than ever for another visit to Stars Hollow. Now to impatiently await the official news of a GG revival.